The Deal barracks bombing was an attack by the Provisional Irish Republican Army (IRA) on the Royal Marine Depot, Deal, England. It took place at 8:22 am on 22 September 1989, when the IRA exploded a time bomb at the Royal Marines School of Music building. The building collapsed, killing 11 marines from the Royal Marines Band Service and wounding another 21. The Royal Marines School of Music is a professional training centre for musicians of the Royal Marines Band Service, the musical arm of the Royal Navy. Originally created at Portsmouth in 1930, it moved to Deal in 1950 and in 1989 was still there as part of the Royal Marine Depot, Deal. Throughout the 1980s, the IRA had been waging a paramilitary campaign against targets in Britain and Northern Ireland with the stated aim of achieving the separation of Northern Ireland from the rest of the United Kingdom. These operations had included an attempt to kill the British Prime Minister Margaret Thatcher in 1984 and a similar attack on a military band in London in 1982. Some marines had remained behind in the building, and thus received the full force of the explosion. Many were trapped in the rubble for hours and military heavy lifting equipment was needed to clear much of it. Kent Ambulance Service voluntarily agreed to end its industrial strike action to aid those wounded by the blast. Ten marines died at the scene with most trapped in the collapsed building, although one body was later found on the roof of a nearby house. Another 21 were seriously injured and received treatment at hospitals in Dover, Deal and Canterbury. One of these men, 21-year-old Christopher Nolan, died of his wounds on 18 October 1989. 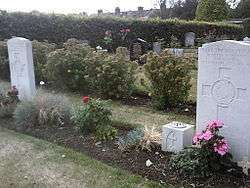 Three of those killed were buried nearby at the Hamilton Road Cemetery, Deal. One week after the bombing, the staff and students of the School of Music marched through the town of Deal, watched and applauded by thousands of spectators. They maintained gaps in their ranks to mark the positions of those unable to march through death or serious injury. 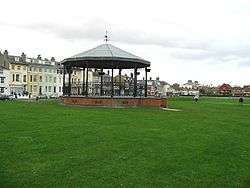 A memorial bandstand was constructed at Walmer Green to the memory of those who "only ever wanted to play music". A memorial in the Deal Barracks chapel was destroyed when the building burnt down in 2003, but the site is now a memorial garden. The surviving barracks at Deal were converted into flats when the base was decommissioned in 1996, and the School of Music is once again based in Portsmouth. ↑ "Concert recalls 11 killed by IRA". BBC News. 12 July 2009. Retrieved 29 August 2009. Anne Williams & Vivian Head (2006). Terror Attacks: The Violent Expression of Desperation – Attack on the Royal Marine School of Music. Futura. ISBN 0-7088-0783-6.